Here despite stringent regulations Van Eyck still managed to realize a few ideas of his own. 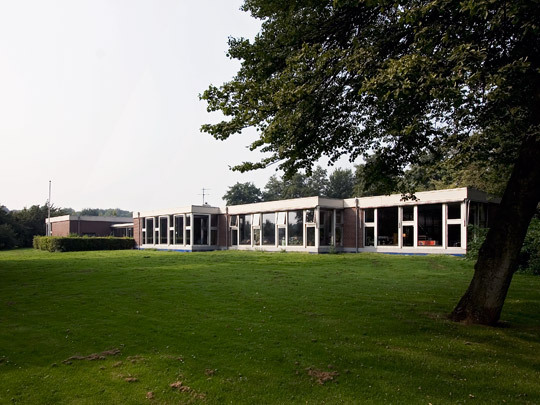 The school block consists of two staggered rows of three classrooms of equal size, with the third rotated 90°. Their projecting angles contain accesses (doors having been forbidden) in the form of large concrete-framed windows. More than just a circulation route, the corridor acts as an intervening area that includes accommodation for those remaining for lunch.